Car Loan Deficiency: Will Bankruptcy Help Me? Losing your car is one of the most overwhelming situations for anyone to face. 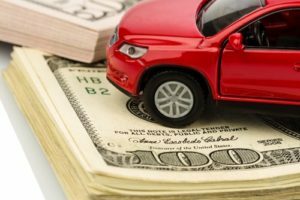 It may have now made it impossible for you to return to work, which is why many people ask whether or not bankruptcy can eliminate a car loan deficiency following repossession. Whether the lender has repossessed it on their own accord or whether you have voluntarily surrendered it, you could be held liable for deficiency balance on a car loan. When you have a car loan, the lender maintains the right to reclaim the vehicle if you discontinue making those payments. You could also be held individually liable for paying that loan. The car will be repossessed and sold at a public auction if this is your first car. Since cars tend to depreciate rather quickly, the money from the auction might not cover your outstanding car loan balance as well as fees. The remaining balance may be referred to as a deficiency. In many states, your car lender is well within their rights to sue you to collect on a deficiency. They can put liens on your other assets or garnish your wages. Filing to get bankruptcy relief may be your only opportunity to halt the lawsuit and to eliminate your obligation to pay the deficiency. Car loan deficiencies are treated the same as other unsecured debts. A Chapter 13 or Chapter 7 discharge could terminate your liability and any responsibility to pay back a car loan deficiency. The first time you file an automatic stay requires your lender to discontinue all collection activities, but you should always consult directly with your bankruptcy attorney to figure out what is truly best for you. If you are in over your head with this difficult financial situation and are concerned about your obligation to pay back a deficiency, you need to take action sooner rather than later to protect yourself- call a bankruptcy lawyer today. ← How Frequently Can You File for Bankruptcy?